As many of my friends and family are aware, I will be traveling to South Africa this summer to study abroad. 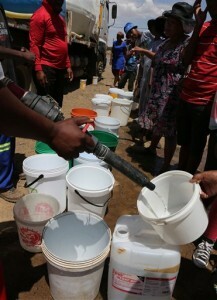 With my trip around the corner, I have researched various studies on South Africa's insufficient water supply. The people of South Africa are going to be taking in myself, as well as 12 other students. They are going to be feeding us, sheltering us, and educating us. I watched videos and photographs of last years group driving by a destination and witnessing children carrying their buckets down a trail. Last years group witnessed what is known as water day. I would love to make even a little difference by fundraising a water project.